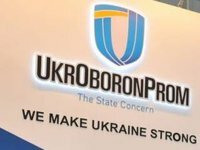 Ukraine's Verkhovna Rada at a session on Tuesday passed at first reading a bill exempting enterprises of the Ukroboronprom State Concern from liabilities under terminated defense cooperation contracts with Russia. Bill No. 6697 amending some Ukrainian laws with regard to solving some issues of debts of defense enterprises, which are members of the Ukroboronprom State Concern, to the aggressor country and/or the invader country was backed by 230 lawmakers. The bill, in particular, stopped enforcement proceedings under court rulings to recover debts from listed enterprises of strategic importance for the economy and security of the state in favor of legal entities of the aggressor state and/or the invader country, legal entities with foreign investment, and foreign enterprise of the aggressor country and/or the invader country. Also, the bill does not allow for judicial proceedings in the case of bankruptcy of the said defense enterprises under claims of legal entities of the aggressor country and/or the invader country, legal entities with foreign investments or foreign enterprises of the aggressor country and/or the invader country. As it follows from the explanatory note to the bill, in connection with the decision taken by the state leadership in 2014 under the conditions of the Russian aggression, on the termination of military-technical cooperation with the Russian Federation, the implementation of contracts concluded in the sphere of military-technical cooperation with the Russian Federation before August 2014 became impossible, and companies that placed orders filed appeal to courts in the territory of the Russian Federation to recover debts, fines and other penalties, despite the reference of Ukrainian enterprises to the circumstances of force majeure. "Court proceedings in the territory of the aggressor state resulted in the issuance of a number of court rulings, according to which Ukraine is obliged to pay amounts exceeding the cost of the contracts," the authors of the bill said. At the same time, violation of the rules of jurisdiction for delivering judgments on the territory of the aggressor state against the enterprises of the Ukrainian defense industry with subsequent charging of excessive fines and interest is badly reflected in the budget of the defense sector, the authors of the bill said. According to the estimates voiced during the session, the amount of indebtedness for the terminated contracts in the field of military-technical cooperation with the Russian Federation, including interest and penalties, presented to the defense industry enterprises of Ukraine today is estimated at about UAH 3.8 billion.